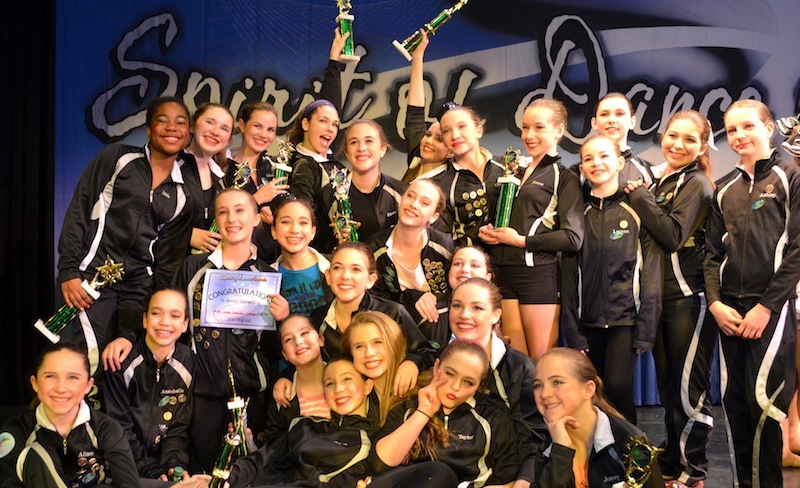 Dancers took home several awards in Spirit of Dance competition. The group picked up several first place awards for group and solo work, including first and second place overall for small groups, first and third overall for large groups, and fourth overall for Ellie Thomas’s solo performance. The 2014-2015 Rise company, as pictured above, is Ellie Thomas, Isabelle Custer, Lizzy Williamson, Susannah Becchio, Emma Baldino, Cassie Casey, Chloe Hoff, Emma Searle, Lauren Pagliccia, Alyssa Strelecki, Mia Jeffers, Ashley Biggs, Alison Custer, Annabelle Cutrer, Maggie Burke, Imani Hall, Pandora Bassett, Chloe Combra, Ava Vought, Anna Nitardy, Amelia Craig, Lily Combra, Taylor Jackson, and Josey Sylva. For more information about Rise, visit risevpa.com.